Loius Daguerre (1787-1851) collaborated with Nicephore Niépce to develop a way to record photographic images that did not fade over time. In 1839, years after Niépce’s death, Daguerre announced that he had achieved this goal. His daguerreotype needed only three to fifteen minutes of exposure (much less than other methods available back at the time), and the image did not fade when later exposed to light. 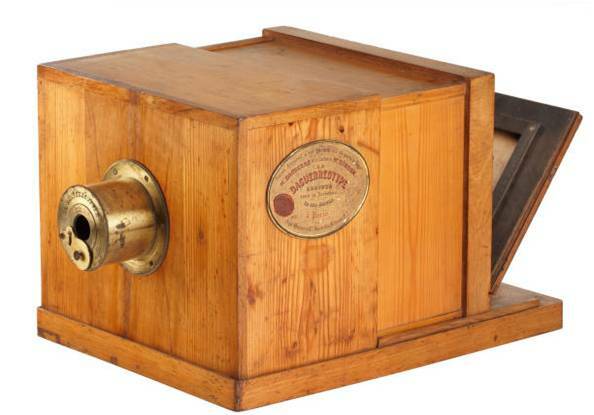 The Daguerreotype Giroux Camera, the World’s Oldest Commercially Produced Camera – 1878. WestLicht Photographica Auction. Accessed: 22 July 2010.